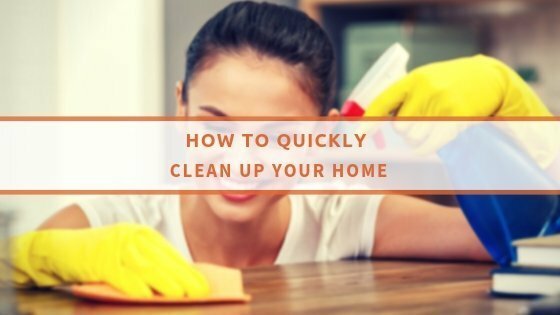 It is true that some cleaning chores take a lot of time and effort. Sometimes you need to invest a lot of time to create the perfect living environment in your home. But not all chores are like that, believe it or not. For instance, you don’t always need to spend the entire weekend doing a kitchen cleaning overhaul. Often times it is more about the 1-minute tasks that make a big difference. Clean the faucet – the faucet may not seem dirty to you, but you want it to look clean. One way to do this is to spritz a mix of water and white vinegar on it and give it a quick wipe with a microfibre towel or a paper towel. Doing this takes no more than a minute of your time, but keeps the faucet clean and shiny, giving the entire area a good lift. Wipe down the sink – the sink is one of those areas that does deserve a decent deep clean because it harbours a lot of bacteria. There is a lot you can do and a lot of tools you can use, but you can keep all of that for some other time. If you want to, you could only give your sink a quick spray with your water/vinegar mix. Scrub the sides and the bottom part of the sink real quick, and you will notice gunk and stains disappear with ease. Put away the dry dishes – drying dishes and cups are always a sight you can expect to see in your kitchen. It is easy to wash an item, leave it to dry and then forget about it. Just stashing the dry dishes away can make the room much more organised and tidy. Spot-sweep the floor – sometimes you don’t have to sweep the entire floor area of the kitchen. 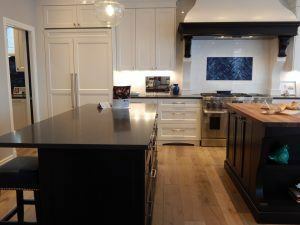 There are a few areas that can get rather messy – the prep area and around the dining table. Spot-sweep those in a minute to remove any crumbs or debris that has fallen there. Do the tabletop area – sometimes the kitchen table turns from just a place to eat, to a gardening area, crafts place, home office, school and other things. When organising the kitchen, be sure to relocate all of the clutter on the tabletop and give the area a quick wipe. Clean the microwave – wet a sponge with an all-purpose cleaner and give the microwave interior a quick wipe down. In doing so, you can bet it will not accumulate gunk and food splatters. Wipe down the fridge exterior – everybody uses the fridge frequently. This results in fingerprints and smudges on the doors and handles of the refrigerator. A damp rag is all it takes to restore the area without too much effort. As you can see, there are a lot of tasks you can accomplish in a flash in your kitchen. 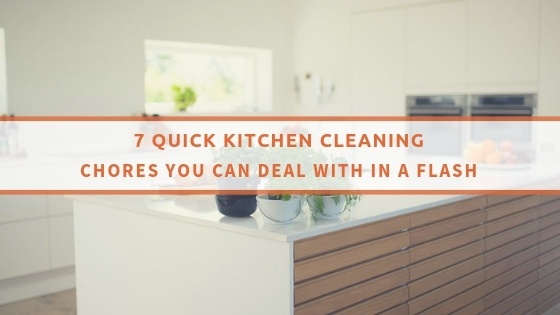 They won’t take much of your time but contribute significantly to a nice clean kitchen.